Rising property taxes are a legitimate political issue, driven by what elected officials and aspiring officeholders hear from their angry constituents. Local governments are on the other side of this, however, hearing from those same voters about deficiencies in schools and roads, crime protection and whatnot. The dispute between the state of Texas and local governments isn’t always about money, but that’s where the real fighting takes place. Reduced to its essence, the state is arguing about price. The locals are arguing about product. Prices — property taxes are the bane of the moment — are rising too quickly, the state contends, with voters cheering in the background. Those same voters, the local officials argue, are making demands for roads, hospitals, schools, police and other government services. 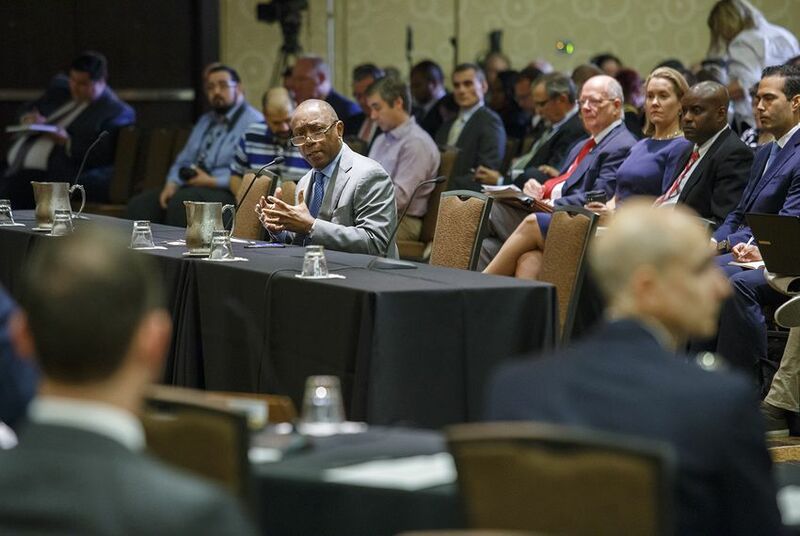 “Things cost money,” Houston Mayor Sylvester Turner wrote last week in a blunt letter to a Senate committee working on property tax growth limits. This money-and-things business came up regularly during a debate almost two decades ago over whether to tax sales made over the internet. One member of a federal panel that looked into the question was then-Dallas Mayor Ron Kirk. He took the position that things bought online should be taxed the same way they’d be if the purchases were made in brick-and-mortar stores. “When you are sitting at home in your virtual world and . . . a fire breaks out, do you want us to send a virtual fire truck or a real big red fire truck?” he asked at one point. Everybody wants the big red truck at the virtual truck’s price. Money isn’t always at the center of state policy decisions, but it often overshadows whatever else lawmakers might be talking about. School finance conversations aren’t really about education, although education is the only reason for those conversations in the first place. It’s easier to talk about the state’s spending — whether it’s enough, whether it’s fairly distributed and so on — than to talk about how the quality of public schools here compares with that of schools in other states. One widely touted ranking — the Quality Counts 2016 report from Education Week – put Texas in 42nd place overall. That’s a starting point for a product-quality argument. Another widely touted ranking is the Tax Foundation’s comparison of effective property taxes for homeowners by state. Texas ranked 6th highest nationally in 2016. That’s a pretty good starting point for price-sensitive Texans. That group got a boost earlier this year when Gov. Greg Abbott gathered a set of legislative proposals to limit property tax growth into a package for his re-election campaign. He didn’t propose lowering property taxes; in fact, he said in his proposal that the state needs to raise its share of public education costs, the better to keep local property taxes at bay. But it puts the governor in league with state lawmakers who want to limit how much local governments can raise property tax bills without voter approval. It’s true that the bills are rising fast enough to propel angry voters to town hall meetings and to the polls. Rising property taxes are a legitimate political issue, driven by what elected officials and aspiring officeholders hear from their constituents. The local governments are on the other side of this, however, hearing from those same voters about deficiencies in schools and roads, crime protection and whatnot. Sometimes, push comes to shove. In the days after Hurricane Harvey assaulted Texas, Turner and Abbott locked horns, with the mayor telling the governor that he would have to raise property taxes to cover storm costs unless the state could fork over some relief money fast. That episode ended with Abbott giving the city a $50 million check and Turner backing off his threatened plans for a tax hike. The game is still on, however. State Sen. Paul Bettencourt, R-Houston, has been loudly promoting limits on local government tax increases. It was a meeting of his Senate Select Committee on Property Tax Reform that prompted Turner’s “things cost money” letter. Bettencourt and others say rising property taxes are pushing the costs of owning homes out of some people’s reach and forcing long-term residents out of their houses. Local officials like Turner, a longtime state legislator before he was elected mayor of Houston, hear the siren Ron Kirk was listening to during the fight over internet taxes — the one on a big red fire truck.